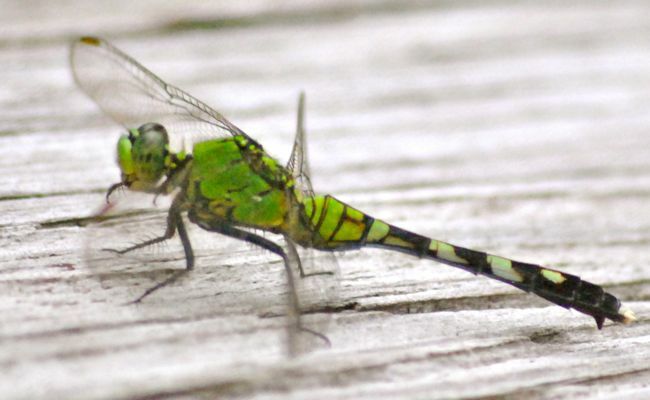 The eastern pondhawk dragonfly is wide ranging, found throughout the eastern United States to the Great Plains and from southern Ontario to Florida. It's found in almost all 67 Florida counties. It's a predator, hunting on the wing for mosquitoes and other flying bugs. 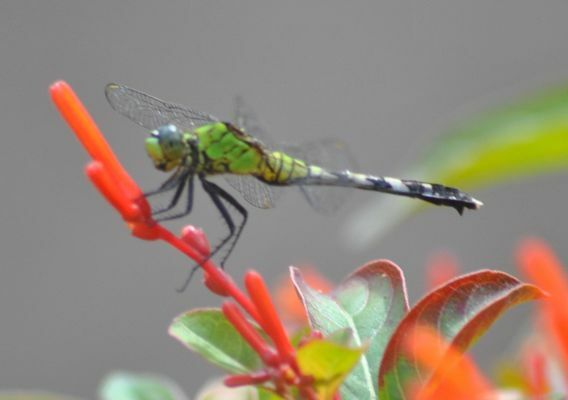 It's the namesake for the Pondhawk Natural Area in Boca Raton. 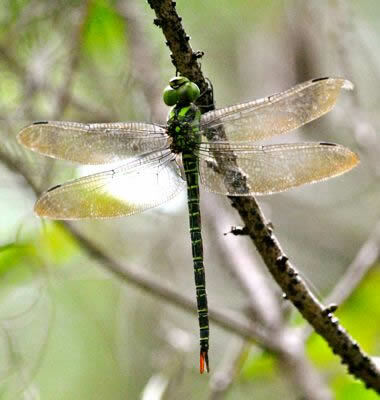 Other common names include the common pondhawk and green jacket. Its scientific name is erythemus simplicicollis. Look for this guy near ponds and slow-moving water.